In 2013, I left the consulting firm I cofounded, because I wanted to figure out how I could make more of an impact with my work. Specifically, I wanted to figure out how to help groups collaborate more effectively in ways that did not require consulting support. My hypothesis was simple. Collaboration is a craft, and as with all crafts — from sports to music — you get better through lots and lots of practice. My goal was to come up with ways to help people practice. Initially, I was biased against tool development as a possible path to scale, largely because I felt that most people viewed tools as a silver bullet whose mere presence would magically make any group better. Even though this was the opposite of how I viewed tools, I didn’t want to unintentionally contribute to this problematic mindset, which I felt discouraged practice. However, an unexpected conversation at a party changed my mind. I was catching up with a friend from college whom I hadn’t seen in years. He mentioned that he had gotten into bike racing, and we started discussing the joy and pain of learning something new as adults. That’s when he introduced me to balance bikes. Most people my age learned how to ride bicycles either via brute force (keep trying and trying until you figure it out) or training wheels. The theory behind training wheels is that learning how to ride a bike is hard because people are afraid of falling. Training wheels eliminate that fear. However, as my friend explained, the other reason that learning how to ride a bike is hard is that it requires balance, and balance takes practice to develop. Training wheels act as a crutch, and hence, discourage you from learning balance. Balance bikes are low bikes without pedals. Kids (and unfortunately, I have only seen them designed for kids) propel themselves by pushing with their feet, then lifting their feet and gliding for as long as possible. They don’t fear falling, because they can put their feet on the ground any time. 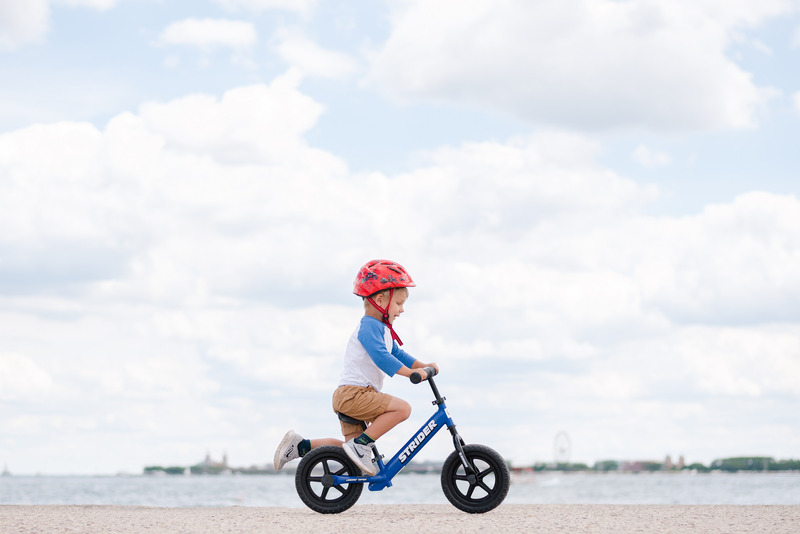 However, balance bikes also encourage you to glide (which is what makes riding bikes so fun), and, in doing so, encourages you to practice balancing. Every tool that I’ve shared on this site is meant to be like a balance bike. They were designed to help you practice and develop strong muscles and habits around group process. You can keep using them for as long as you find them useful, but what matters most for your group’s effectiveness is that you continue to develop the right muscles, regardless of how. For example, the Strategy / Culture Bicycle (whose name is a nod to how useful I find bicycle metaphors) is designed to help you develop stronger strategy muscles. When I facilitate strategy for groups, I usually eschew the Bicycle, instead custom designing processes based on the challenge at hand and the group’s readiness. However, these processes embody the same principles as the Bicycle. If you don’t have the know-how to custom design something, practicing with the Bicycle will help you develop that know-how. I’m currently piloting a community of practice focused on using the Goals / Success Spectrum to build more strategic and collaborative muscles. I’m heartened to see how quickly people progress after just a few repetitions, and I’m even more excited about the few who are starting to realize that their quick progress is just the tip of the iceberg, that the real possibility comes from regular repetition and reflection. My hope is for everyone who uses my tools (however they come to them) to understand this — that it’s not about the tools themselves, but about building strong muscles, mindsets, and habits. Photo by Strider Bikes. CC BY-ND. Hi Eugene! Much appreciate your making explicit, your intention of supporting the on-going practice of collaboration in groups. I appreciate and fully share that intention! On my end, I’ve been experimenting with “Empathy Circles” as an enjoyable connection-building format that allows people to practice one of the key skills for working effectively with conflicts. Here’s the link: http://diapraxis.com/home/resources-on-empathy-circles- Would love to hear any feedback you might have.